The 18th International Multi-Conference "Reliability and Statistics in Transportation and Communication"
Reliability and Statistics in Transportation and Communication (RelStat-2018). The goal of the RelStat-2018 conference is to provide an international forum for scientists and professionals in academia, industry, and government to address recent research results and to present and discuss their ideas, theories, technologies, systems, tools, applications, work in progress and experiences on all theoretical and practical issues arising in transport, information and communication technologies. The Conference proceedings will be published after the Conference in a proceedings book indexed in Scopus, by a Publishing Company. Information will be announced later. The invited articles may be recommended for publishing in different journals (during 1-2 months after the Conference): special issues of the journal “Transport and Telecommunication” (ISSN 1407-6160) included in SCOPUS, Elsevier Database, EBSCO, VINITI, The Summon, Transportation Research Board, JournalTOCs, INSPEC, TEMA (Technology and Management), etc. Authors should submit a paper in English (British), checked for correct grammar and spelling. On submission, please provide detailed personal information by filling the following form: Registration Form. Abstracts (not more than 600 words in length) submitted for review should be in English and should present a clear and concise view of the motivation of the subject, give an outline, and include information on all authors (the full name, affiliation, address, telephone number, fax number, and e-mail address of the corresponding author). We would like to invite you to the PhD seminar “Sci-Bi: Digitalization in Logistics and Transport”. The seminar is organized by Transport and Telecommunication Institute (TTI) and takes place on 16 October 2018 in Riga, Latvia. Both the participation in the workshop and the publication of the paper are free of charge. Travel costs as well as costs for stay are not included. 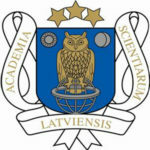 This project of the Baltic-German University Liaison Office is supported by the German Academic Exchange Service (DAAD) with funds from the Foreign Office of the Federal Republic Germany. 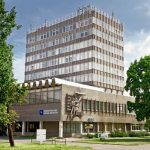 Open Workshop “Digitalization in Logistics and Transport” in Riga, TTI (26.04.2018): for PhD and MSc students from Latvia and their supervisors that interested in research topic. Conference hall in TTI. Preparation of the International Innovative PhD seminar. Participation in International Doctoral Student Workshop in Magdeburg, 19.06.2018.
International Innovative PhD seminar in Riga, TTI (16.10.2018.). Conference hall in TTI. The PhD seminar will happen on the 16th of October, 2018 at Transport and Telecommunication Institute, Lomonosov street 1, Riga, Latvia. The previous 17th International Multidisciplinary Conference “Reliability and Statistics in Transportation and Communication” (RelStat-2017) was held in Riga, Latvia on 18-21 October 2017. Proceedings of the Conference was published in Springer Lecture Notes in Networks and Systems http://www.springer.com/series/15179. 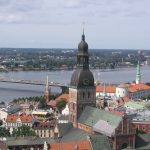 Download details of special RelStat-2018 accommodation options and information on public transport in Riga.